Dolly Parton in Montreal or Quebec City? 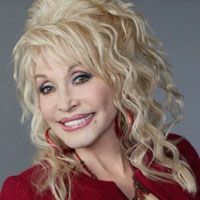 Inform me about the next events for Dolly Parton. Enroll yourself to our priority waiting list for Dolly Parton to be alerted when new tickets are available. Filling this form doesn't engage you to any purchase. Will Dolly Parton be playing in Montreal and/or Quebec City at some point in 2016? You never know : no concert date has been announced yet, but the American country star has confirmed on her website that she will be touring throughout North America this year.